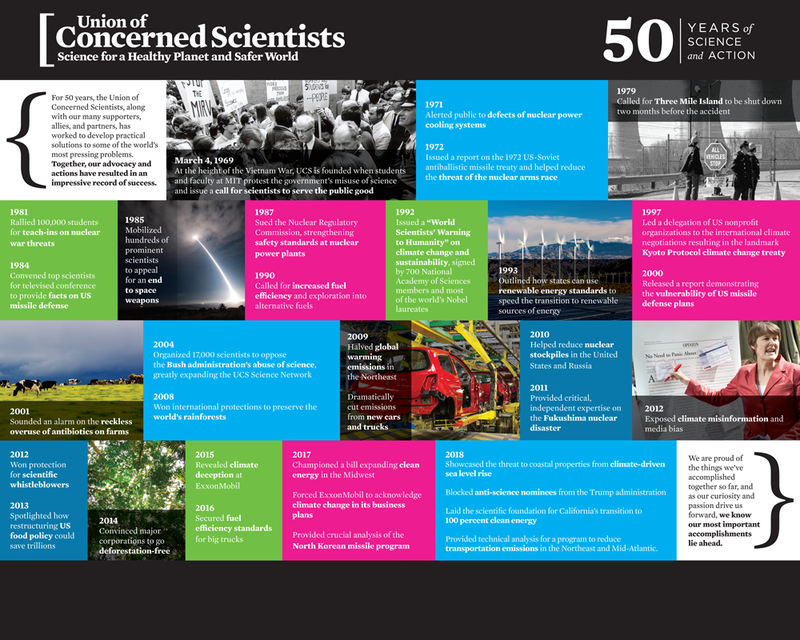 Formed by scientists and students at the Massachusetts Institute of Technology in 1969, the Union of Concerned Scientists puts rigorous, independent science to work to solve our planet's most pressing problems. Joining with people across the country, they combine technical analysis and effective advocacy to create innovative, practical solutions for a healthy, safe, and sustainable future. By incorporating elements of their brand and their striking historical photography, our designer used bold colors and typographic treatments to bring their vision to life in an easy-to-assemble display weighing in at a mere 35lbs including a case fit for shipping. To learn more about their accomplishments over the last half-century, visit their virtual timeline.